Left to right: Fine & Country Leamington Spa team: Jonathan Handford (Managing Director), Henry Lacey, Nicola Moore, Mark Griffiths and (front) Mattie Heaven (all are Partner Agents). Sleep outs are tough, cold, uncomfortable and exhausting. 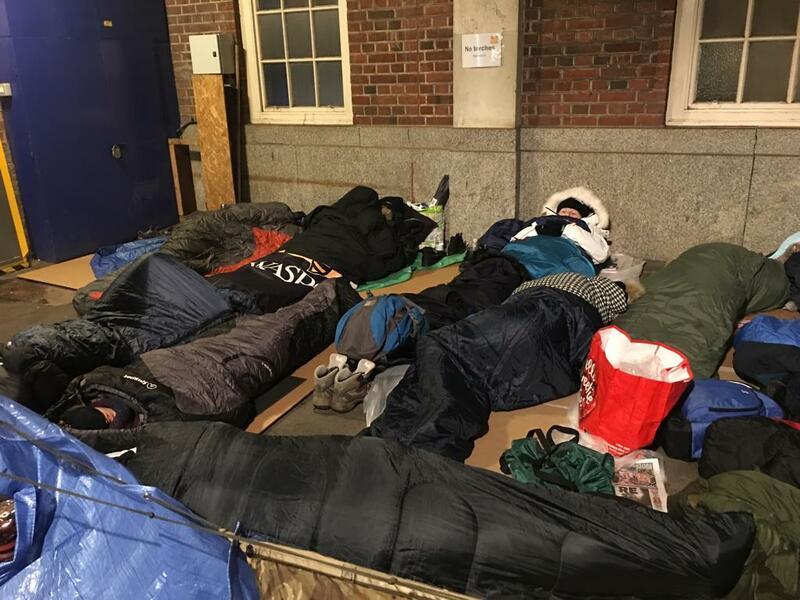 They raise awareness of the difficulties experienced while sleeping rough, without replicating it. Helping Hands Community Project added a new twist to conventional sleep outs: the location was a surprise. Mattie Heaven, volunteer staff and Partner Agent from Fine & Country with Lianne Kirkman, CEO of Helping Hands. Five members from Fine & Country Leamington Spa took part to support Helping Hands and raise more than £1,000. Everyone met at the Helping Hands soup kitchen for tea, coffee and a light bite to eat from the end of the day stock from Greggs. The participants, all still unaware of their destination for the night, were escorted out the building by members from the Gaydon RAF base. The rain began to fall, leaving many participants anxious and keen to set up their camp for the night before their possessions got too wet. Finally, they arrived at Leamington Spa train station, their home for the night. They were split into groups, some were placed on the platforms while others stayed in the tunnels. Getting set up with musical support. 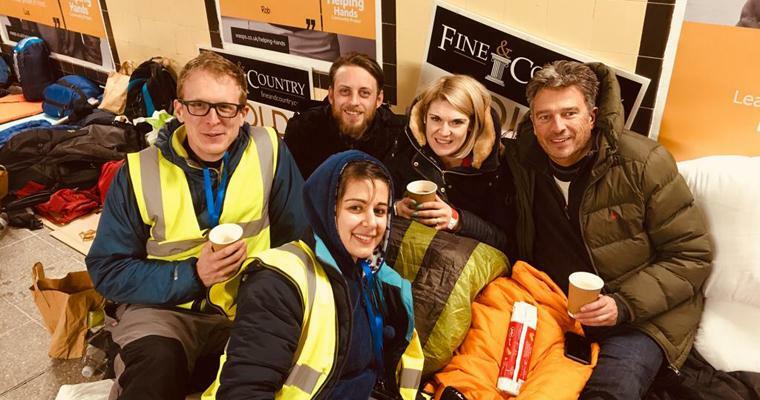 Sleep out participants on the Leamington Spa station platform. 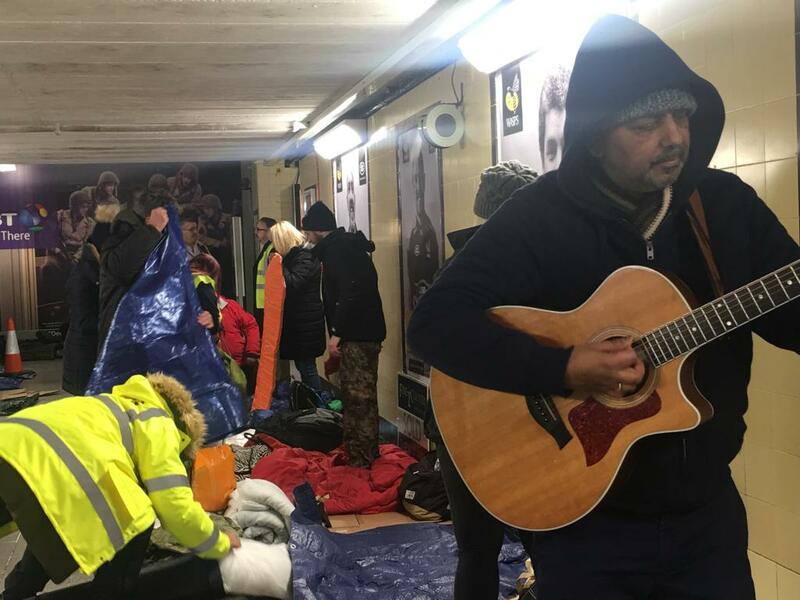 During the evening participants laughed, sang together and set up their sleeping areas. Among the crowd were members of the Rugby Football Union team, The Wasps who sponsored the event. Throughout the evening, members of the public came off their trains and walked through the tunnels, passing the sleep out participants. The last train was at 1am so everyone took the opportunity to get some rest before the morning trains began at 6am. The tunnel was bright, noisy and uncomfortable. Heads rested on the ground, lights shone into eyes and many couldn’t last through the cold. Nicky Moore, Partner Agent from Fine & Country Leamington Spa said: “The morning was when it really hit home for me. At 6am the first trains began. I looked around to see that lots of people had left during the night or moved to the platform to get out of the wind. It was less obvious that we were doing a sleep out. “As we stirred and gathered our belongings, members of the public were walking to and from their trains. I saw the look on their faces as they thought we were homeless. Your support is needed to get rough sleepers off the streets permanently. You can do something about it. 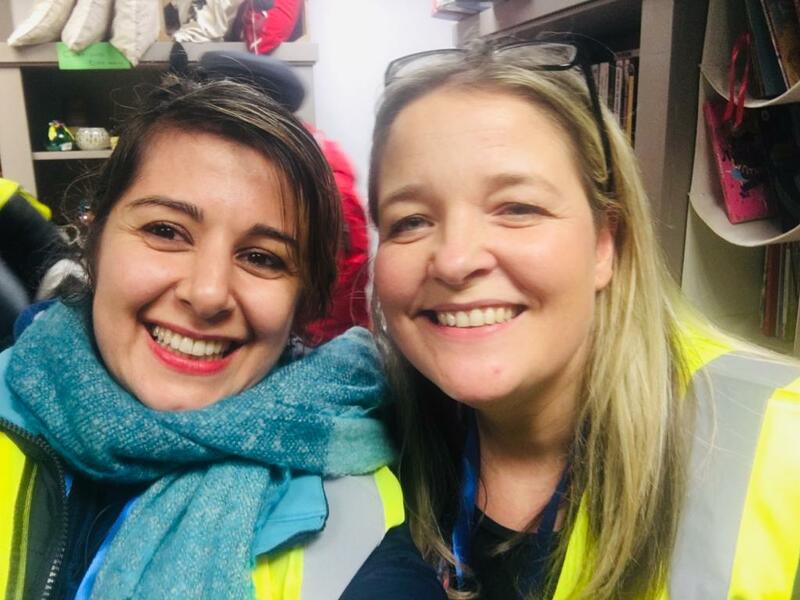 Helping Hands Community Project run a soup kitchen, advice service, employability training and House2Home project to support vulnerable and homeless people in the short term and permanently. The Fine & Country Foundation is proud to support Helping Hands. You can be too. Donate today.